Save time and money by using this 5 step process before you buy anything! OK time for a little tool talk. One thing I strongly encourage investment in no matter what your business model or how large or small you plan on growing is tools. Tools can open up the world of possibility for you. They can help automate lower level tasks, they can cross talk to share information from one tool to another, they can help organize records which will allow you to run advanced reports on any number of things, they can help keep you connected to others, etc….. I think you get the idea, tools can be beneficial for you but they can also be a trap. There are tons of choices out there and everyone clamoring to get you to buy their solution and they make it hard to say no. Heck there are even tools out there you can get for free! Then there is the bundled deals and the step deal (get a bigger package at the lower price). Endless enticements to pull you in. Normally you may think of just diving in and collecting tools that seem interesting or tools your friends may use. But I caution you not to. Not yet. Resist the urge to leap before you have done your homework. I fell for this more than once and learned the hard way. It's really easy to spend your money only to discover what you bought won't suit your needs and with software, there is a No Return policy. Once you purchase (or rent by the month) the sale is final and that money is gone forever. So how will you know what to get or if the solution is the best for you? 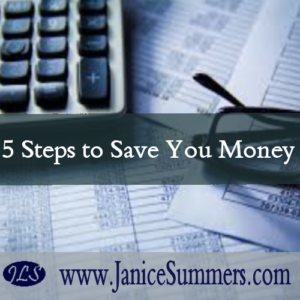 There is a simple process you can follow that can save you time and money and a whole lot of heart ache. Step 1) What need or needs are you trying to solve? Clearly state what your needs are. Write as much detail as you can think of and feel free to add to it as you go. All solutions should help drive your business objectives directly or indirectly. Notice I did not say what the tools can do, you need to focus on your needs first! Step 4) Compile a list of features and benefits for all of the tool brands you plan on testing. Rank the ones that are priorities for you that solve your needs now and into the near future. Step 5) Test and evaluate based on performance against your selection criteria. Create a scoring method of A through E or F or maybe 1 through 10. Whatever works best for you and you can follow. Once you have compiled all of the information, the choice becomes clear and the decision is objective. If you want to get my Tool Scoring cheat sheet, simply go here and I will deliver it to your e-mail.